The combination of the government shutdown and bitter cold front this month left many working people to battle individually with wretched conditions. These macro problems exaggerate the already precarious situation of the most vulnerable: the homeless population and prisoners trapped in the depreciating conditions of the already horrendous detention centers. 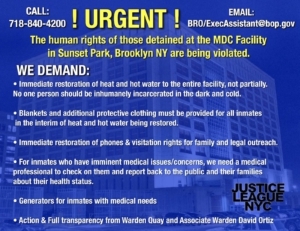 As the temperature in New York City dropped to 3 degrees F, the Metropolitan Detention Center in Brooklyn’s Sunset Park was without heat, light, telephone access, medical treatment, and lawyer/family visits for a full week, with only spotty recovery of electricity for short periods. 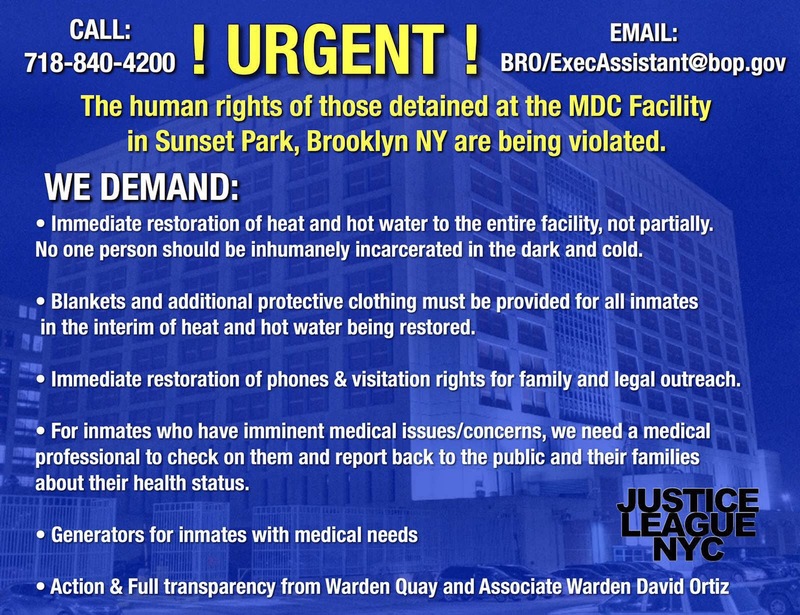 Some cell blocks were as freezing as outside conditions, pitch black, with no hot water or hot meals and no possible way to operate medical equipment for incarcerated people with chronic medical needs. This life-threatening situation was only rectified by the rapid, passionate and mass intervention of the prisoners’ loved ones, community, and advocates who occupied the jail and refused to leave. On Feb. 2, a call was put out by Black & Pink, an LGBTQ prison rights organization, Incarcerated Workers Organizing Committee, and other groups and individuals to occupy the Metropolitan Detention Center. The No New Jails Coalition and others coordinated getting food, holistic care, and warm clothing and blankets to the jail for the community occupiers who spent hours in the bitter cold. 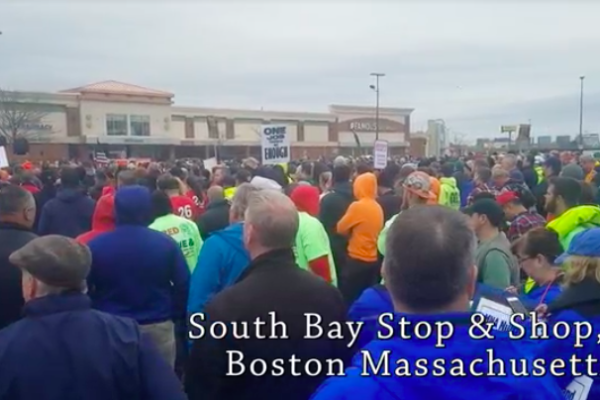 Hundreds responded, and stayed. Some family members interviewed on Feb. 3 at 6 p.m. had been there since 3 a.m. the previous morning. Others came and went as they could. Prisoners inside and family members and advocates outside shouted back and forth to each other. 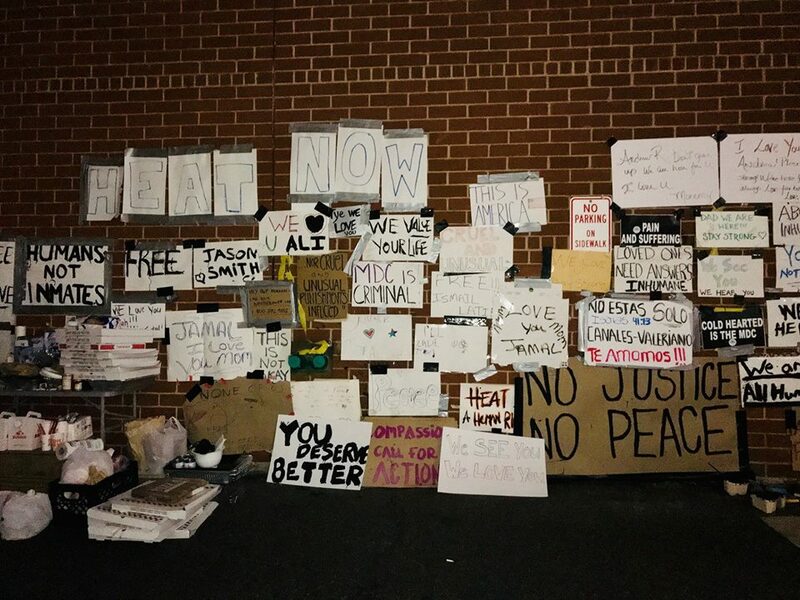 Signs expressing support and love were taped to a wall adjacent to the jail so that inmates would know they were not alone. When family members tried to enter the jail to inquire about their loved ones, they were met with a wall of pepper spray. From this point forward, police were stationed at the front doors of the jail armed with shotguns, and snipers were seen on the roof of the towering torture house. Politicians and MDC alike misrepresented the protesting families as trying to “storm the jail,” when even the mainstream media’s footage clearly shows family members trying to get information. Long after the jail again tried to claim that heat and electricity were restored, prisoners were screaming that they still had no heat, had no access to commissary to buy warm clothing, and still lacked hot water. Inmates who had access to illegal cellphones called family members present in the street to report that correctional officers and police were ramping up repression on prisoners caught beating on the windows and communicating with protesters. 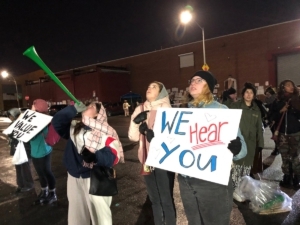 Inmates reported that those caught protesting by screaming or drumming on the windows were being beaten, pepper sprayed, shackled, and even hosed down. 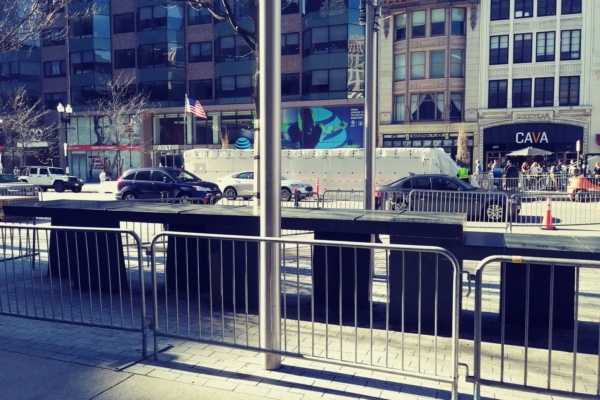 Massive sweeps resulted, in which the cellphones were found and confiscated. But neither the prisoners nor their families were intimidated. Many family members standing outside held signs with their loved one’s names written on them as they protested loudly the criminal mistreatment of their people on the inside. 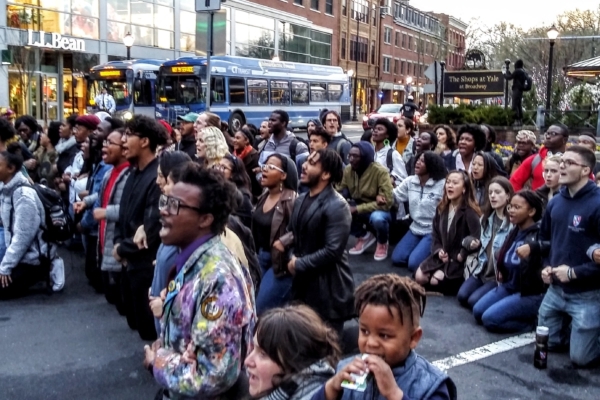 Prisoners screamed at the top of their lungs and beat tirelessly on their cell windows to answer the call of their supporters gathered in the streets. While families were denied entry to the prison, some elected officials managed to get in. State Senator Zellnor Myrie said that he was shown a cell where an asthmatic man deprived of a nebulizer was lying on the floor of a poorly ventilated cell, trying to gasp air through a gap under the door. Further, Myrie described the man as crying with his bright red inhaler, saying he wasn’t sure he would survive the night. David Patton, another touring official, said that while power was completely out, when he was in the jail the heat was sporadically working in some cells with a high of 50s and 60s, which is still far too cold for incarcerated people whose prison uniforms are essentially short sleeved hospital scrubs. The MDC holds 1,600 inmates hostage. Most of the inmates are awaiting trial and can’t afford bail, or await sentencing in federal courts. The response of the Bureau of Prison and MDC Warden Herman Quay to the pitch-black freezing conditions in the jail was to try to keep the conditions hushed and unnoticed. Quay racked up all inmates into their cells for lockdown so they would not add to the headache of the administration during this infrastructural breakdown. Families and activists have exposed this callousness, and are calling for Quay’s resignation. The Bureau of Prisons claimed that they were merely having some electrical problems that were spontaneous and the fault of Con Edison. The Bureau also maintained that prisoners had heat in the cells, were still receiving hot meals, had hot water, and had lighting in common areas. 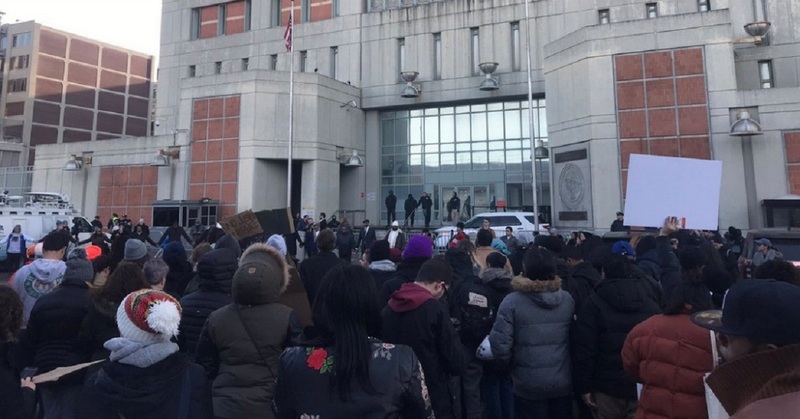 Con Edison denied that it was responsible for the lack of electricity in the jail, saying that they had not had electrical problems on their end of things, and that the fault was clearly on the federal jail. Moreover, the federal defenders reported their lines being flooded from inmates who were calling to report the opposite of the MDC’s claims, that there was little to no light in the jail, no heating, no hot water, and that commissary was closed so that even inmates with money on their books could not buy sweaters or extra blankets. The federal defenders also reported that many asthmatic inmates and inmates who relied on seizure medicine and the like were at extreme risk, claiming also that they were facing a hostile and uncooperative prison staff at the MDC. Make no mistake, all former inmates and activist from the #nonewjails movement and other prisoner advocacy groups understand well that these events at MDC are not new or extraordinary. Other prisoners have been abandoned to extremes of the environment. The prisoners of Orleans Parish Prison in New Orleans were abandoned to drown during Katrina, and hurricanes in the Gulf Coast meant similar fates for inmates in Houston, Texas, jails. Elder and chronically ill incarcerated people around the country die of heat in the summer and freeze to death in the winter. These are the harsh realities of the prison-industrial complex, the repressive apparatus of the United States. New jails will not solve this class war, privatization of the prisons will not alleviate the genocide, and bourgeois politicians like de Blasio will not fool the people into buying their snake-oil reforms. 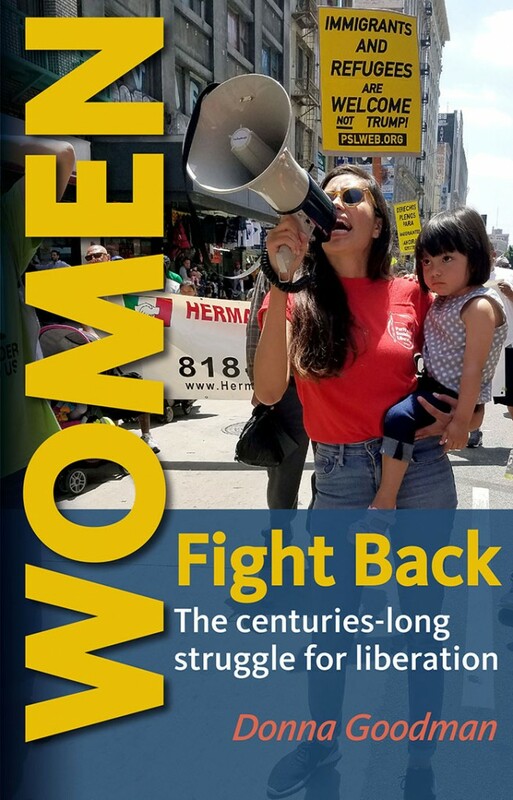 It is our historic responsibility to free our people from the stranglehold of the capitalist state, and we will continue to show up to advocate for our people. Signs taped to a wall across from the jail so the prisoners can see them. Liberation photo: Emily Brease.